Well, howdy there, mam! You are looking mighty fine today but don't you even think about hoping up on this wagon without a bonnet atop your head. This, here, is the Oregon Trail, and it be some tough sleddin'! Hoo-wee, let us tell ya. So, not only are you going to want to look the part of these historic settlers, you're going to want to have a practical headpiece that will help you get through these, here, unforgivin' weather conditions. This Women's Black Pioneer Bonnet should do just fine. You're sure to pull this classic look right off the pages from your history books and bring it to life at any costume party you attend! 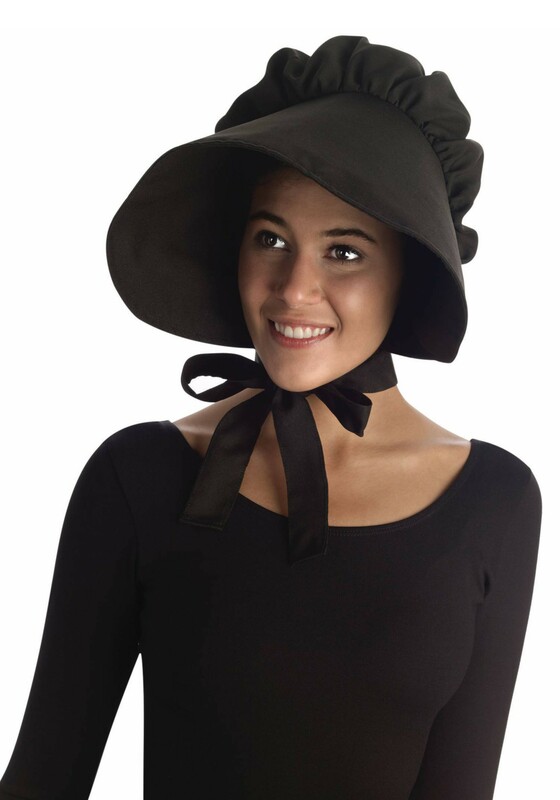 So go on and add this bonnet to any colonial or pioneer costume you have planned for this Halloween. Just don't be surprised when fellow party goers start asking for you directions, after all you will look as if you have traveled along many a'dusty trails in your lifetime.